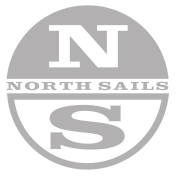 North Sails makes fast and versatile sails for the X Boat class, manufactured using the most advanced technology and highest quality materials in the industry. Our X Boat experts are available to help you get the most out of your North Sails product offering sound advice, tuning information and expertise. The North Sails X Boat Medium-Heavy mainsail is recommended for when sailing in the big breeze. It features a more forgiving shape that helps keeping the boat in control and still fast. North Sails' new radial design that has been proving faster in the X Boat circuit.